I thought it would just be Crossword Puzzle but it's Crucigrama. Rompecabeza means puzzle but literally mean 'break your head'. Anyway that was the heart of the assignment but the teacher didn't want them to solve the puzzle .... she wanted to know the meaning of the 16 words in the box below. Yari said look them up on the Internet and write their meaning on the back side of the page. That was kinda strange because the definitions are given above and you just match them for the puzzle. Possibility Yari misunderstood the assignment? 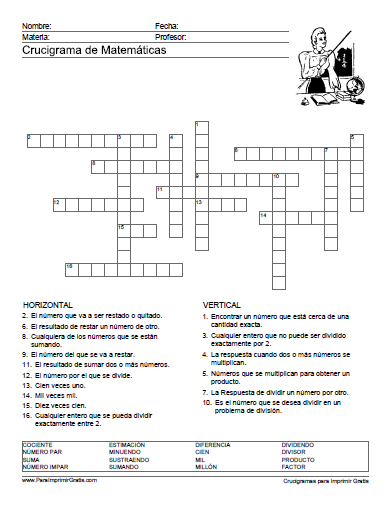 So we did it the hard way but also went to ParaImprimirGratis.com that was printed on the bottom of the page, found the puzzle and the answers were attached. Lots of other interesting educational stuff on that site .... take a look. Mexican Rebecca Jimenez Mendez, the woman who inspired the group Maná in the popular song "Pier San Blas," died yesterday at age 63 (6 de septiembre del 2012) , after a history of a dramatic and sad life. 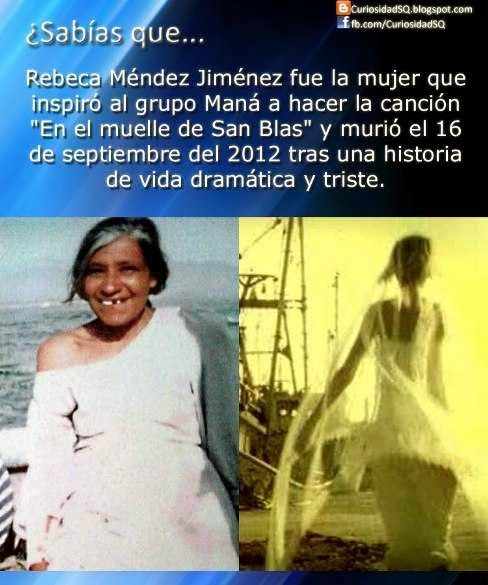 The tragic love story, so well reflected by the Mexican musical group on "In the spring of San Blas" began when in the summer of 1971 Mendez Jimenez was all set to marry her boyfriend, a fisherman named Manuel. Four days before the wedding, the man went fishing and never returned. Gone are the days, months and years and Manuel did not return. Rebecca sat on the dock of the port of San Blas, wearing her wedding dress, waiting for the long awaited return of her fiancé. 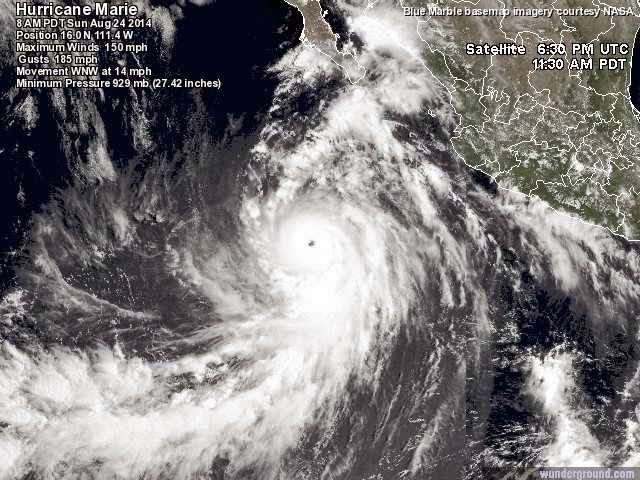 Hurricane Marie makes the 13th named storm in the Eastern Pacific this year while the Atlantic has had only 2 so far. It does look like Invest 96L near Cuba has a chance to be storm number 3. 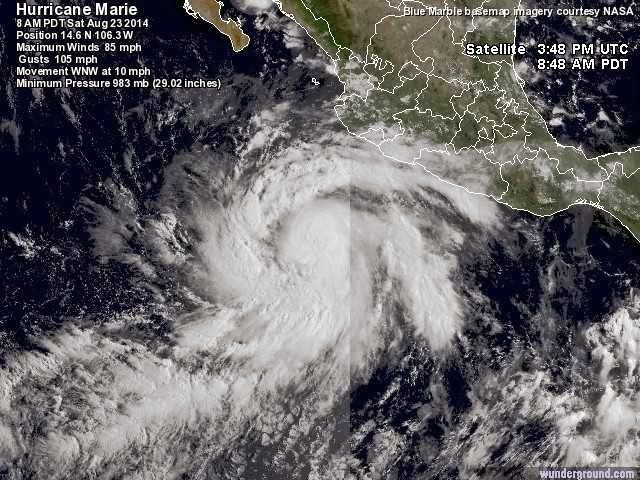 Marie is closer than any storm in the last 2 months as they have been forming well off shore and head almost directly west. 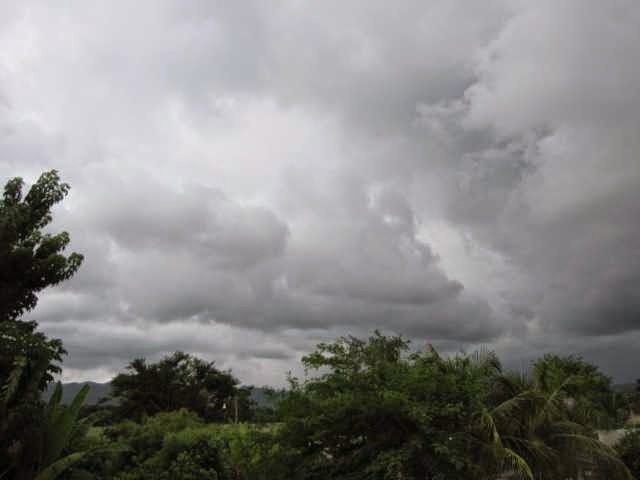 It is totally overcast here right now and from the radar we may get some rain from the outer bands. Most all all our rain has come from convection current activity where moisture blows in from the ocean or up the coast a little and runs into the mountains. It hasn't been the late afternoon Tropical rains like Hawaii .... but has been anytime of day or night with lots of thunder and lightning. Hugo noticed all the flowers thinking tons of fruit and I said that the tree has had those flowers for a long time and nothing comes of it. Looked around the back side of the tree and suddenly saw the first fruit. We had totally missed it. So now it looks like many of those flowers will turn into fruit after being 2 years in the ground. Don't think I've seen these in the market so tasting this one will be a first. Sounds exotic and even more so that it's a chicle tree. Scientific name: Manilkara zapota. 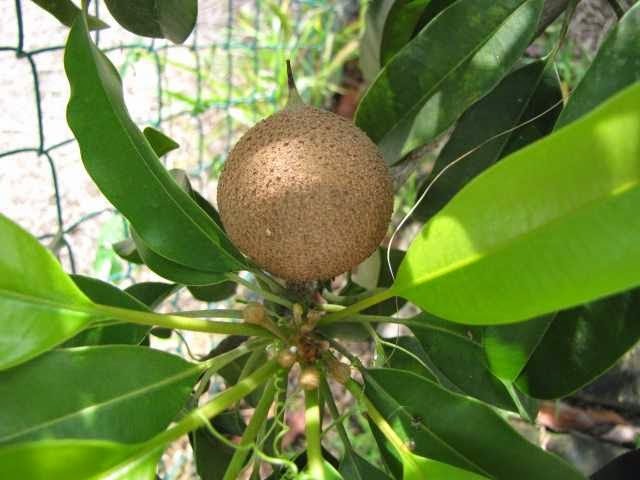 Also known as nispero or chico sapote, this member of the Sapotaceae family is native to the Yucatan Peninsula of Mexico and Central America. Distribution of the fruit and trees began before Columbus discovered the New World, and now they can be found across the globe. 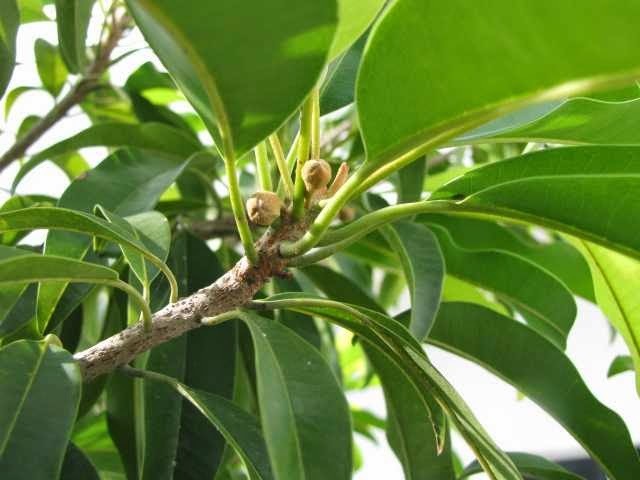 Today the plants are cultivated almost exclusively for commercial fruit production, but the sticky sap called latex was also coveted by indigenous Americans. In fact, the sap is the original source of chewing gum or chicle in Spanish. 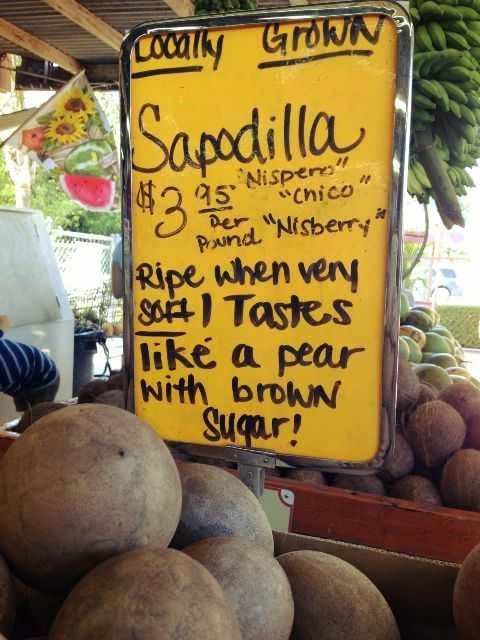 The name "zapota" ultimately derives from the Nahuatl word tzapotl by way of the Spanish zapote. 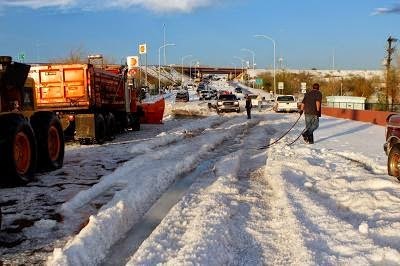 A hailstorm of mammoth proportions hammered sections of Mexico City Sunday. Several feet of hail piled up, making some city roads impassable. 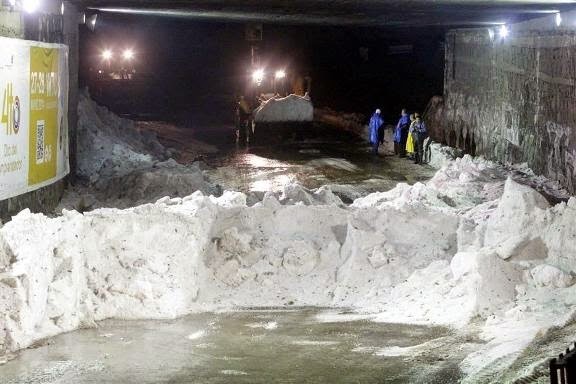 “Roads such as the North Loop [el Periférico Norte] were flooded by hail and flooding, so municipal and Federal District workers labored for hours to clear them, Notimex reported,” wrote CNN Mexico. Mexico news organization Azteca Noticias called it a “historical hailstorm”. 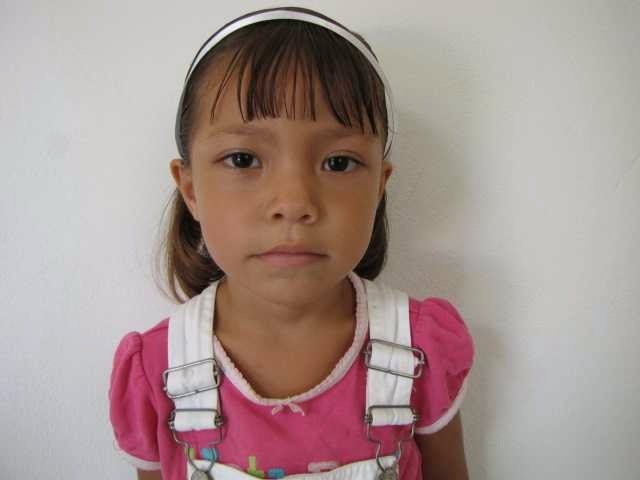 Today was the long awaited first day of Kindergarten for Nahima. 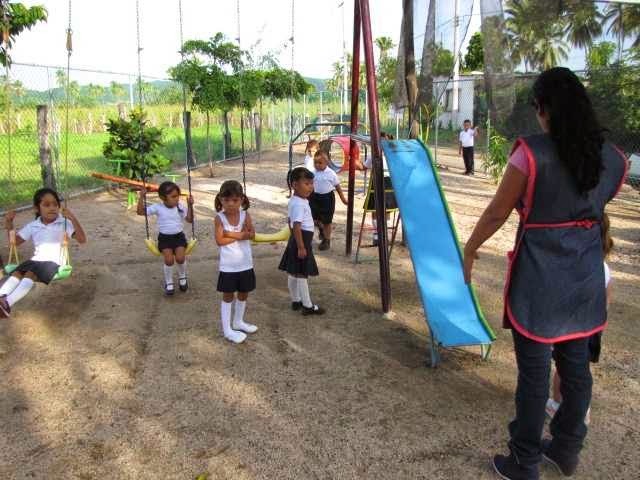 Yesterday the mothers helped clean the classroom and playground. 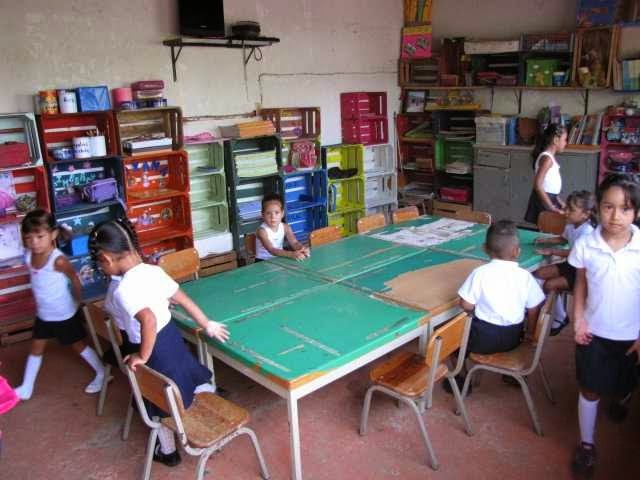 We also painted wooden crates used for each students personal storage space. I drove this morning because of the crates but normally they will walk to school. The big deal is how does Nahima handle being away from mom and with strange kids in a strange place. There was no crying when we drove away but she did tell her mom this morning that maybe tomorrow would be better for Kinder. 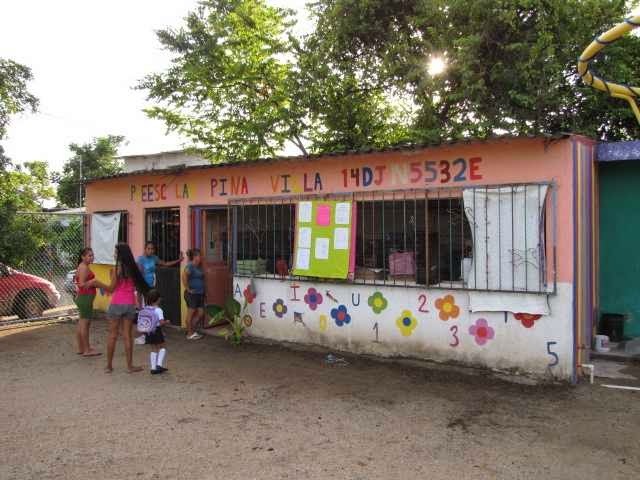 I was surprised there were like 25-30 kids in that small classroom with only one teacher and a helper. I've got vines covering most fences and walls except for this small section of cyclone fence near the front. I was surprised when this wild vine popped up a little while ago. It's very delicate with yellow flowers so I let it go to see how it would do. I missed the melon part because it was green and hidden in the vine. When they get ripe they turn gold and pop open with seeds. I'll look closer in the coming weeks to try to follow the whole process. The seeds look like pomegranate seeds or granada. Hugo said they used to eat the whole fruit when they are young or the seeds which he calls granada. Lots of these vines in the mountains. 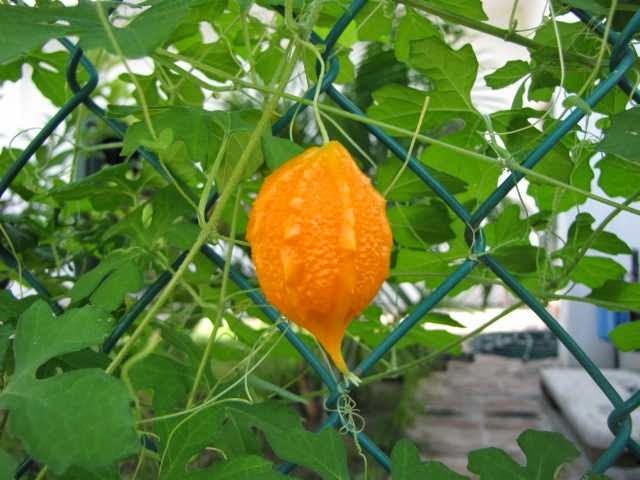 A tropical vine with long, slender shoots, deeply lobed leaves and warty, oblong fruits that are edible when young and green but turn very bitter when mature and yellow. 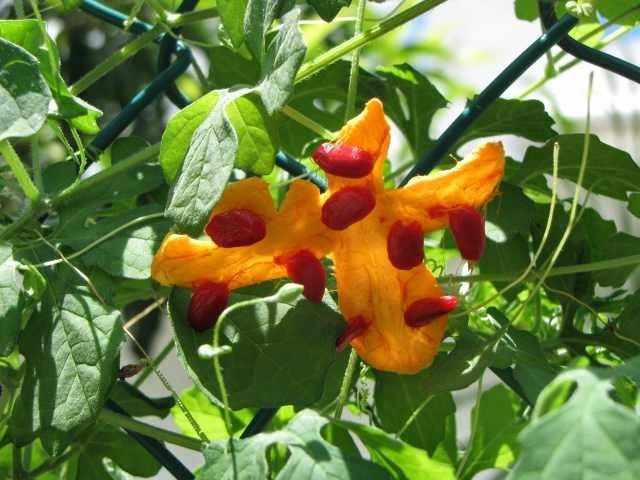 When fully ripe, the fruits break open to reveal seeds covered in soft, bright red and edible, sweet pulp. 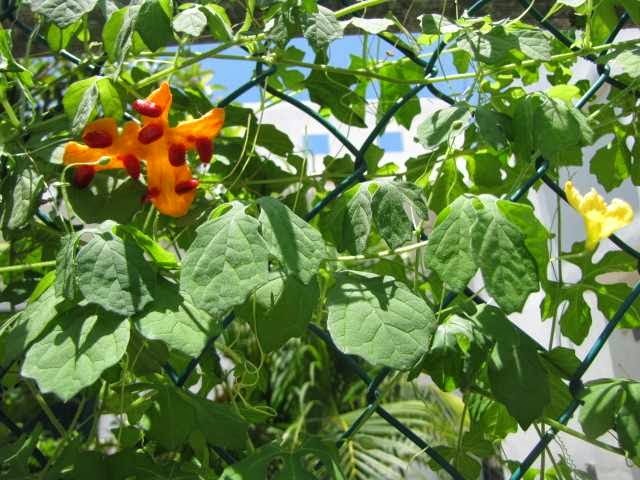 The plant has a wide array of medicinal properties and studies show that it could be effective against diabetes, cancer, HIV and malaria. I finally decided raise the level of the opening to the registro which was taking in way too much rain water and eventually ending up in the septic tank. I just have a feeling that a septic tank doesn't want tons of extra water to do it's thing. 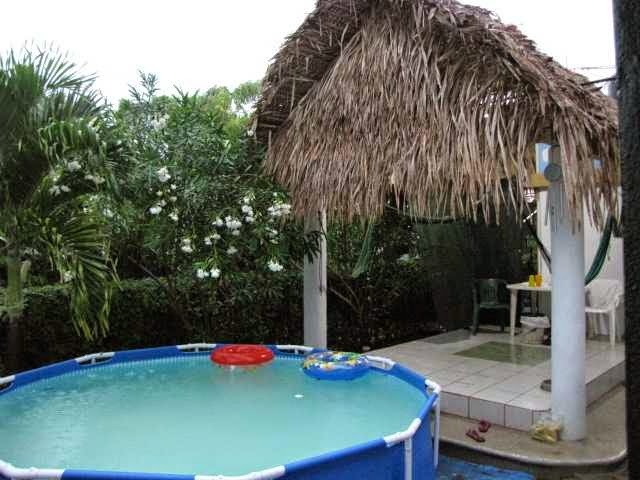 It was fine until the grass started to be replaced with walkways, planters and the pool. Now the water is 2 inches deep before it can run towards the street. 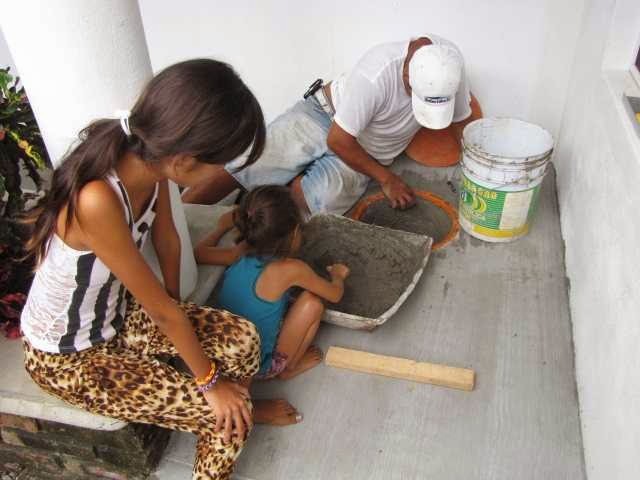 Hugo has been doing the cement work for the last few days and his girls were helping yesterday. I decided to raise a large section so no water gets trapped behind the planter Yari is sitting on. It's about 4" high and a 6 foot by 12 foot L shape. So now let it rain which I know it will before November. 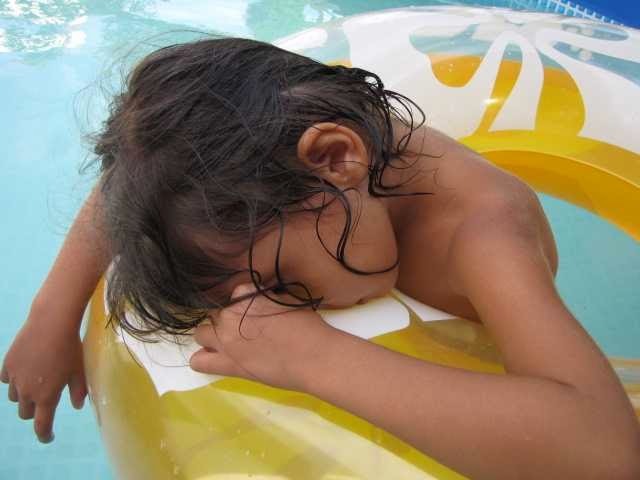 Her sister was in the pool with her and dad was on the patio. I came out and asked if she is pretending but no. She conked out right there with her feet on the bottom of the pool. Kinda spooky thinking she could just collapse off the tube and take a big gulp while totally startled. They only let her go for about 10 minutes and she is now sleeping with mom in a hammock.